"Resistance...Rebellion, you will burn these ideas away"
That is what we inherit, the Imperial Confederation commonly referred to as the Imperial Federation or simply the Confederation is a Regionalized Unitary Authoritarian One-Party State dedicated to the Peace, Order, and Security of the galaxy's Human-dominated core! 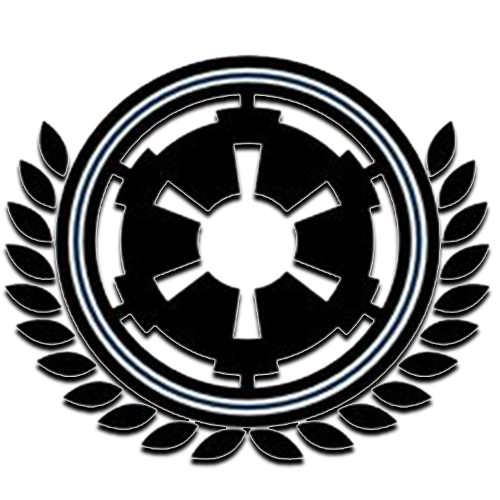 Governed from Coruscant by the Imperial Senate and Imperial Assembly, safeguarded by the Imperial Security Bureau, protected by the Imperial Navy in co-operation with the Imperial Army and Stormtrooper Corps. Together these noble arms work together forming the backbone of the Confederation's power in its' push onto Victory and levelling Retribution against those who dare to infringe upon their desire to construct a peaceful, just and secure new Empire. Glory to the Fleet! Glory to the Galaxy! Glory to The Empire! "In my past...I have done things I am not proud of." "Let's all face it, the Empire failed. I won't bore you with talks about bureaucracy, but the government crippled our ability to act when the civil war began, and our conquest of the region left many bitter in our wake. "I have the time nor the patience to deal with dynastic squabbles, therefore I will no longer permit a living man to hold the title of 'Emperor' anymore, instead delegating that to our late creator. I will no longer be the Grand Moff of the Galactic Empire. You will address me as High Chancellor of the Imperial Confederation, because we are neither ready nor worthy of being called an Empire, not yet." "I am your leader, and you will acknowledge me as such, or you will be forgotten."